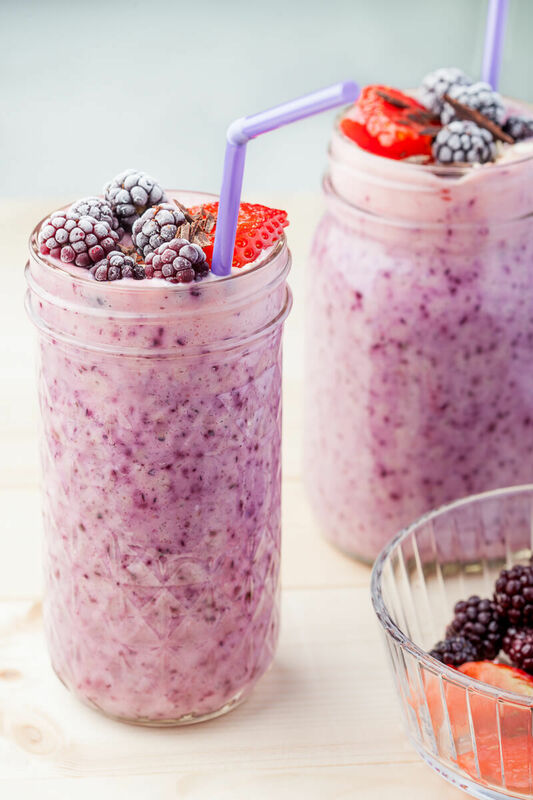 This energy-boosting Frozen Berry Smoothie is made with frozen berries that can be kept in the freezer for produce-scarce winter days. In a blender, put 1 banana, frozen blueberries, half the yogurt and water as needed, then blend. Pour into your serving glass. Wash the blender cup, then add the other banana, the strawberries, the rest of the yogurt and water as needed and blend. Pour over the blueberry mixture in your glass. Top your smoothie with frozen blackberries, a few slices of strawberries and a dash of roughly chopped dark chocolate.